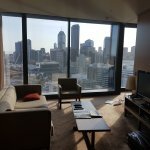 Thank you very much for posting a review following your recent stay at Pan Pacific Melbourne. We are truly passionate about delivering exceptional guest experiences and I was very pleased to learn of your great satisfaction with our hotel's standard of service. It is particularly motivating to receive comments like the ones you provided on our staff. Rest assured I will convey your compliments to them. The team and I appreciate your feedback and we all look forward to your return in the not too distant future. 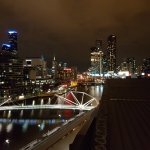 Thank you very much for posting your feedback on your recent stay at Hilton Melbourne South Wharf. As part of the Hilton brand, we are passionate about delivering exceptional guest experiences and I was delighted to learn that you were very happy with our service. I greatly appreciate your views as they enable us to monitor whether we are meeting our guests’ needs and expectations and help us evaluate the standard of our services and facilities. 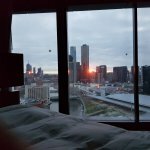 Thank you very much for posting a review following your recent stay at Hilton Melbourne South Wharf. We are truly passionate about delivering exceptional guest experiences and I was very pleased to learn of your great satisfaction with our hotel's standard of service. Your feedback serves as great motivation for us all. Thank you for your review on Trip Advisor. 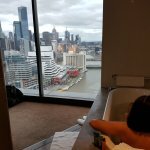 I am delighted you enjoyed our hotel's services, facilities and décor; and we all hope to serve you again at Hilton Melbourne South Wharf in the very near future. 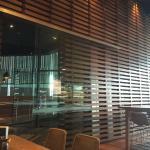 Many thanks for your review about your stay at Hilton Melbourne South Wharf. I was delighted to note that you were pleased with our friendly service and with our comfortable beds; and I have also noted your views regarding our fitness centre and internet. Your feedback helps us evaluate the standard of our facilities and services and we truly appreciate your comments. I do hope, however, that you will choose to stay with us again at some stage in the not too distant future.